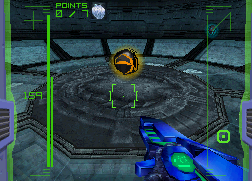 The Death Alt is an upgrade in Metroid Prime Hunters multiplayer. This upgrade locks the player in their Alt Form and gives them a fiery aura temporarily. If the player touches another, the other will be killed instantly. The player cannot cancel alt form until the Death Alt has worn off.